My three favorite polish top coats are: Dior Gel Coat, Butter London 'Hardwear P.D. Quick' Topcoat ( replaced by the 'Hardwear' Shine UV Topcoat, which I've yet to try), and Guerlain Le Top Coat Gel (it's revamped incarnation, and today's feature), La Petite Robe Noire Top Coat. 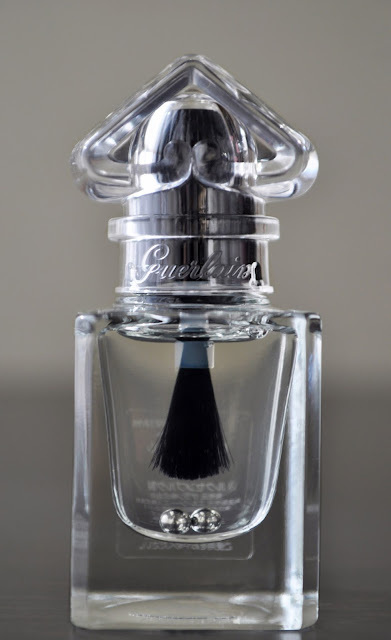 Aside from the new, chic, feminine bottle with the inverted 'heart-shaped' cap, Guerlain's La Petite Robe Noire Top Coat offers the same brilliant, "glass-like" shine and chip-resistant, protective coating of its former. The formula dries quickly, and unveils, as Guerlain describes, "a delicate floral fruity fragrance with accents of bergamot, rose and raspberry, inspired by the delicious notes of La Petite Robe Noire." Was the Le Top Coat Gel scented? I've been racking my brain trying to remember, but I can't...can someone please let me know if the Le Top Coat Gel was scented or not? The long, flat, wide brush is fantastic; it fans out and glides over the surface smoothly, with perfect ease. I do have one grievance, and it's the distance between the brush and the bottom of the bottle. Look at all that wasted space?! Once I've exceeded the length of the bristles, I'm going to have to tilt the bottle, and contort the stubby brush to try to get the remain amount (which is substantial). 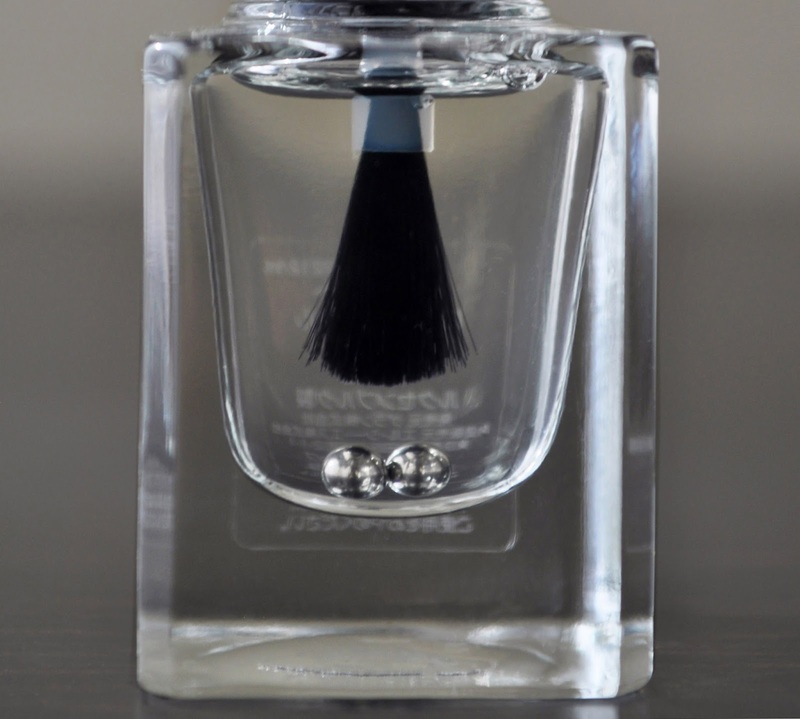 Shame on you Guerlain, would it have killed you to make the handle of brush a little longer. Guerlain La Petite Robe Noire Top Coat retails for 3,240 yen. What are some of your favorite Top Coats? These marketing tricks, also irritates me.